What happens instantaneously on a pinhead that exists nowhere and everywhere? Most economic activity according to the dominant strain of economics. The absence of space and time is just one reason why such economics is so unhelpful in addressing questions of justice, equality and the environment. Cities grow in particular places and over certain periods in history, forests grow somewhere and when they are cut down this happens one day at a time and, even in the age of the internet and global trading, most markets still have locations and goods take time to be delivered – from China or elsewhere. Like the movement of the planets, the changing weather, animals hunting and plants growing, economic activity happens in space and time – it can’t do otherwise. Given the absolute centrality of space and time for all things economic you might be forgiven for thinking that they would be important components in modern economic ‘science’. They are not. In neoclassical economics, which retains a vise-like grip on both academia and policy making and provides the intellectual support for the ideology of neoliberalism, space and time are almost totally absent. Why is this? Why does it matter for people and the planet? And are there more useful alternatives? In the 18th and 19th centuries all economists were political economists – Adam Smith, David Ricardo, J S Mill, David Hume and Karl Marx. Even while they were constructing simplified models of the ‘invisible hand’ and international trade, they were profoundly aware of the negative consequences an unfettered capitalist system can and does have for great swathes of humanity and for the environment. But economics wanted to be more scientific and ultimately that means more mathematical. Casting around to find a suitable mathematics in the physical sciences, the first neoclassical economists (Leon Walras and W S Jevons for example) adopted the best they could find: Newtonian classical mechanics. Though perhaps natural, this choice has been of crucial importance to how economics has developed since. Even as most other sciences have moved beyond a narrow mechanical view of the world, economics has stuck with it. Many things in the physical world can be explained and predicted using classical mechanics: how far a bullet will travel or how planets move around the sun in an elliptical orbit. It still lies at the heart of much useful technology. Billiard balls remain still, in “equilibrium”, until the player uses his cue and applies a force to a ball. The ball moves, bumps into other balls (and indeed into the edge of the table) before eventually everything settles down again in a new equilibrium. If you can specify exactly the starting positions, the masses of the balls, the forces applied and the properties of the materials then you can predict not only where everything will end up but also the routes the balls will take and how long it will all take – so space and time are not only explicitly included but also absolutely fundamental. What neoclassical economics did was take this model and replace mass and distance with price and quantity. A market is in equilibrium if it “clears”, this means that the quantity people want to buy at a given price equals how much people want to sell. This applies whether the market is for labour, for goods or anything else. Everything is stable until there is an impulse or shock. This is the equivalent to the cue hitting a billiard ball. These impulses might be changes in consumer tastes and preferences, suppliers using a new technology or a change in the price of labour or raw materials. Suddenly it looks as though the market might not clear and unemployment or stock shortages might appear. Of course in mechanical physics such “out-of-equilibria” are normal, the billiard balls are all moving through space and time till they settle down again in new positions. But to make their models tractable the early neoclassical economists had to completely strip down classical mechanics and drop any concept of space and time. Where exactly is the market operating? Implicitly the answer is that it takes place at a point, but not a real geographic point, rather an abstract point. In this sense economic transactions happen on a pinhead that is both everywhere and nowhere. It’s the same with time. In neoclassical economics if it takes time to move from one equilibrium to another, this would mean that markets may not clear, trading could take place at “false prices” and they might never settle down again. Initially this problem was overcome by the introduction of what later became known as a Walrasian auctioneer. This purely fictive being, analogous to Maxwell’s Demon in physics, “groped” his way to a solution by repeatedly calling out prices, checking the resultant demands and supplies until prices that will clear the market are found – only then can trading take place. Coupled with the later introduction of “rational expectations” – in which actors have perfect foresight and complete information – this enabled economics to ignore space and time. In a Pollyannaish way, following any disturbance or shock, the economy jumps instantly from one equilibrium to another – going through nowhere on the way – in a type of economic Quantum Leap. Now in real markets there is no auctioneer; buying and selling is continuous, prices actually emerge from the dynamic interaction of different agents who don’t have perfect knowledge and often use rules of thumb or customs to guide their decisions. Even within the neoclassical tradition there have been many economists who have introduced space and time into their work. 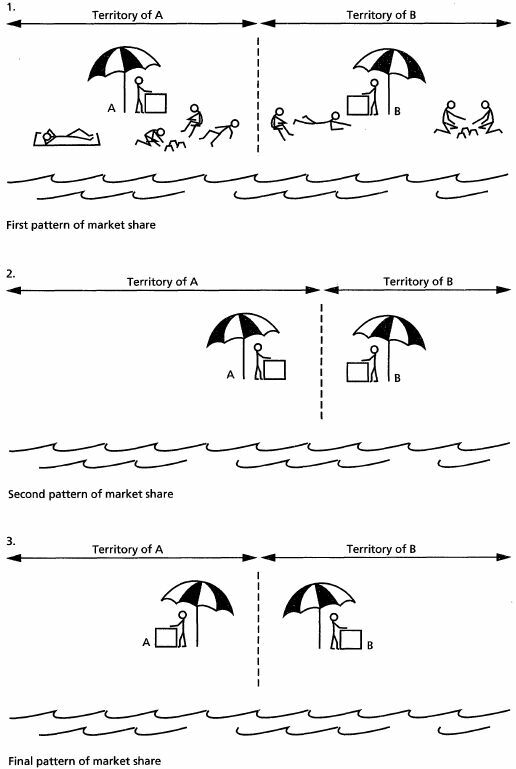 Starting with Harold Hotelling’s analysis of where how ice-cream sellers would “space” themselves along a beach, there have developed whole sub-branches of economics: spatial economics, economic geography and regional economics. Similarly with time; economists knew economic processes took time so they introduced various types of “lags” into their models – although these did tend to disappear once “rational expectations” were introduced and things happened instantaneously. Yet unfortunately it is true to say that such approaches have remained peripheral to the big issues of macroeconomics; being confined on the whole to micro, though important, issues like transport and schooling. The absence of space and time is not the only unrealistic feature of neoclassical economics. It also tend to ignore most important aspects of scale, energy use, resource limits, how aggregate markets are not scaled up individual demand and supply curves, and how economic actors actually interact, adapt, behave and choose. There is also no concept of time’s arrow, i.e. the irreversibility of processes and how such “path dependence” is crucial for economic development. The point is that even though all these factors have been studied by some excellent economists (usually of the non neoclassical variety), they are still marginalised within academia, business and government policy making. Stripped down classical mechanics still rules the roost. In 1954 Milton Friedman argued that it doesn’t matter if the assumptions made by economics are unrealistic as long as the models make accurate predictions. The sad fact is, however, that these models have not only proved spectacularly unable to make predictions, and not just of periodic financial and banking crises, but much more importantly they haven’t even been able to explain such events after the fact. When something happens that shouldn’t have been able to occur according to their models, neoclassical economists rush around trying to retrofit their theories – mostly without success. 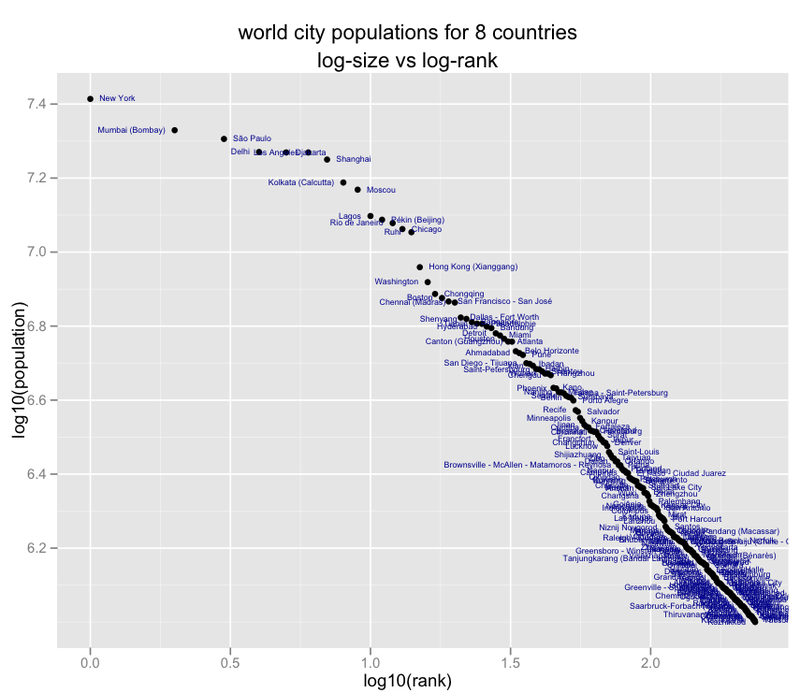 As economies and other social systems evolve through time and space major inequalities emerge, in income, wealth, population densities and so on – all manifestations of Zipf’s Law. Approaches to economics that start with people, firms and institutions interacting with and adapting to each other in space and time can generally “explain” this phenomenon; inequality is endogenous or, better said, an emergent property of all complex adaptive systems. On the other hand, neoclassical economics struggles with inequalities – they are rather mysterious. Free trade, arbitrage, the invisible hand of the price system plus economic growth “trickling down” to the poor should tend to eliminate them. Obviously they never have, so the answer must lie in making the world better fit the stylised economic models rather than changing the models to better explain the world; a completely unscientific approach that has appalled natural scientists. So, for instance, the IMF and the International Trade Organisation impose “structural adjustment” and free trade with never ending alacrity. The contention is that they will bring about economic growth and ultimately lead to a reduction in poverty and inequality. Of course it never happens and millions suffer the miserable consequences. Turning to the environment, in scientific terms neoclassical economics is a “closed system”, consumers consume, firms produce and money circulates to oil the wheels. It’s a circular flow. 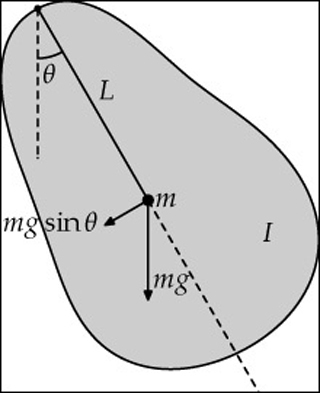 Implicitly a boundary circle has been drawn around the system. Things outside this circle, such as finite energy or resources, the environment or even other species, either don’t exist or are treated as “externalities” and very often not even “priced”. Energy and resources can be had in limitless quantities forever, though the input price may vary. This completely misunderstands the two laws of thermodynamics – the conservation of energy and the entropy law – both of which operate in space and time. All economic wealth is created by energy and resources. These often take eons to accumulate in specific locations and are not limitless, yet they can be used up very quickly indeed in a mass entropic civilisation such as ours. The consequences are there for all but the blinkered to see. It’s very unlikely that neoclassical economics will ever be able to make a real contribution to alleviating poverty, tackling ecological despoliation and moving us towards a more just and sustainable world. But there are many other sorts of economics in which human and planetary justice matter. It is to these that we must look.